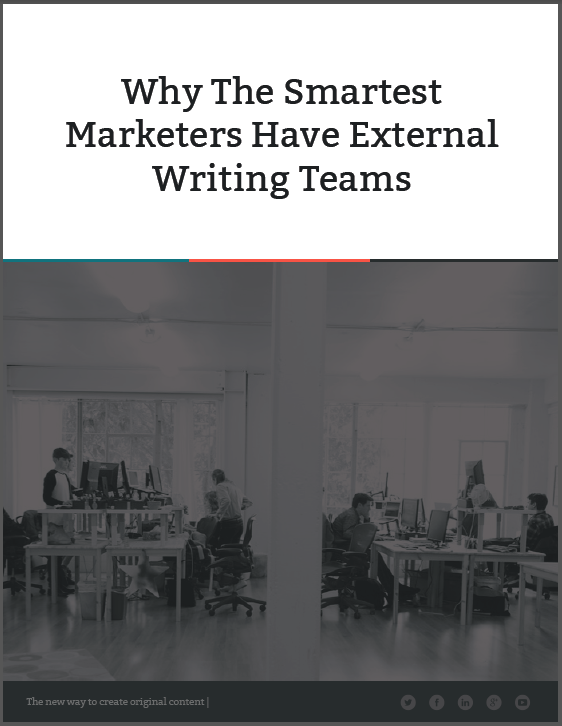 At the core of every content strategy is creation – and for written content, that’s writing. A successful content strategy includes many moving parts: content planning, content creation, content promotion, measuring your content’s performance and optimizing for success. Each component is equally as important to your content strategy. At Scripted.com, we see many businesses outsource content because they’re stretched for time. In fact, according to the Content Marketing Institute’s 2014 benchmark report, 69 percent of B2B marketers said a “lack of time” was the biggest challenge they face to date. But time isn’t the only reason why nearly 47 percent of marketers have turned to outsourcing. Here’s why the savvy ones in the business are outsourcing their content right now (and why you should be, too).